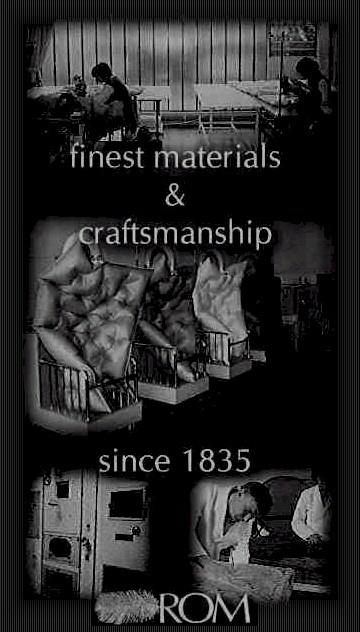 Established in Saint-Vith since 1835, the forebears of the present Mr Rom first got involved in the stuffing of stools of horses, seats, mattress quilts. After the war, the father of Mr Rom gets settled in Eupen. He opens a store of interior decoration but continuous to offer the same services. From 1955, machines fill the quilts. Gerd Rom takes over and develop the business. He is the first in the French-speaking part of the country to provide himself with machines that select and clean down. In 1989, Mr Rom opens a store in Brussels. The numerous articles that he sells are house-made, and the house, for him, is always his work shop in Eupen. The store built its reputation on its research of natural materials of outstanding sources and on the selection of downs of white geese, the best! About this whole history of the bed, Mr Rom can speak you during entire nights. At full day light, his advice to customers, and the customized manufacturing that offers his company will delight your night. A quality sleep is priceless but you should know that at ROM, the nights of dreams are not out of budget.